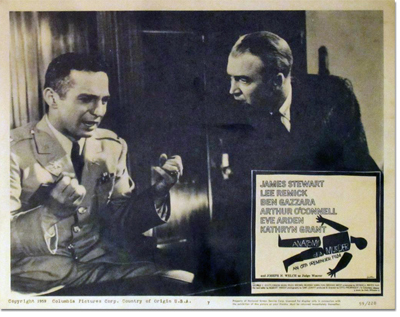 Long before IMDB and YouTube, film studios promoted movies on posters and pieces of heavy stock paper known as lobby cards. As movie production took off in the early 1900s, what's known as the Golden Age of movie posters was born. According to West Hollywood film ephemera dealer Walter Reuben, early movie posters, often illustrated with bright colours and bold design, inspired the creation of lobby cards, a smaller, more durable alternative to their large and flimsy predecessors. 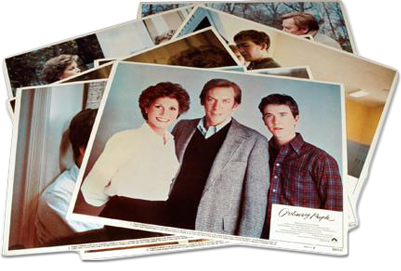 Typically measuring 14x11", lobby cards were displayed and distributed to movie-goers in theaters. 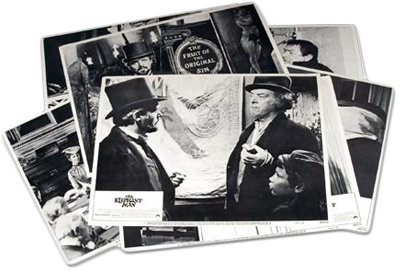 Printed in sets of eight to 12, the cards featured various iconic scenes of the film, or colourful illustrations of the movie title and the names of leading actors and actresses. 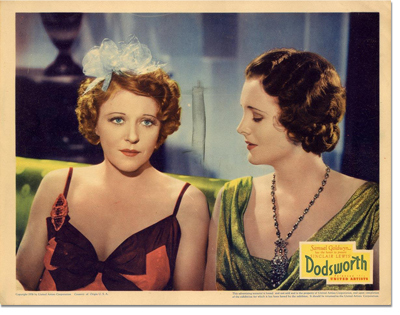 Lobby cards are rarely seen today, but remain highly sought after by collectors of movie ephemera. The selection of lobby cards on AbeBooks is expansive, including cards for silent films, sci-fi thrillers, and mid-century romances. The selection below celebrates the Academy Awards - each lobby card features an Oscar-nominated or Oscar-winning film. Seven studio lobby cards for the 1983 Oscar-winning film starring John Lithgow, Jack Nicholson, and Shirley McLaine. Original 14"x11" lobby card featuring leading man, Robert DeNiro. 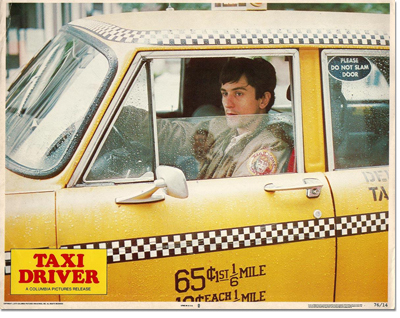 Taxi Driver (1976) was nominated for Best Picture. The Oscar went to Rocky. 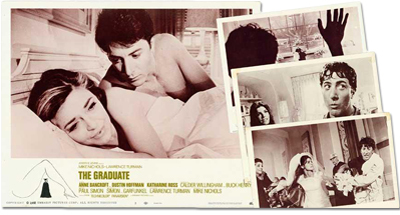 Complete set of eight lobby cards for the iconic Oscar-nominated film starring Dustin Hoffman and Anne Bancroft as Mrs. Robinson. 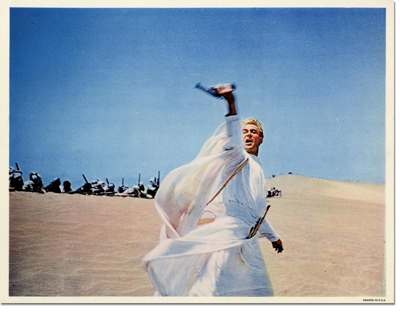 Original 14"x11" lobby card for the Oscar-winning film Lawrence of Arabia, starring Peter O'Toole as T.E. Lawrence and Omar Sharif as Sherif Ali ibn el Kharish. 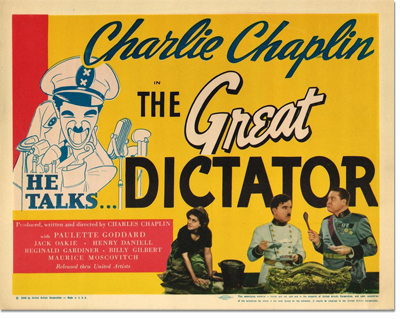 Vintage lobby card stating 'He Talks' - The Great Dictator was the first film in which Charlie Chaplin spoke. 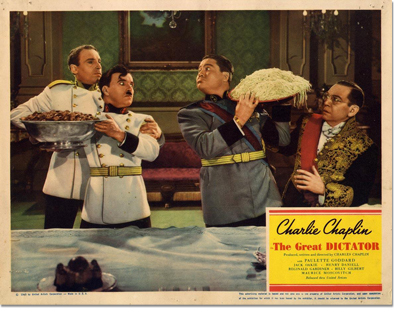 Vintage 14"x11" lobby card from the Oscar-nominated Charlie Chaplin film. 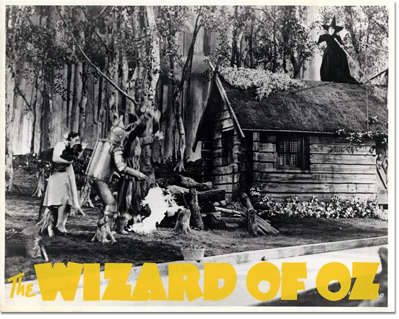 Made for a 1962 foreign re-release of the 1939 Oscar-nominated film, this lobby card is considered rare for its inclusion of the Wicked Witch. 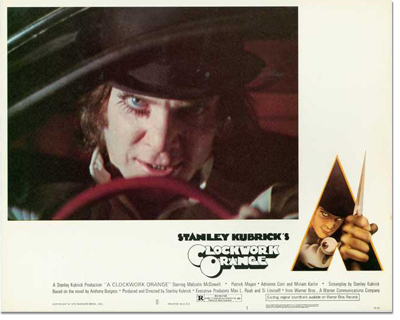 Complete set of eight full-colour lobby cards for the second issue of Stanley Kubrick's Oscar-nominated film, A Clockwork Orange. 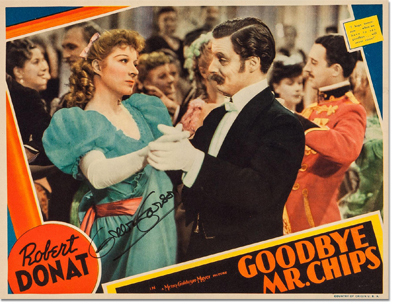 Original 1939 lobby card for the Oscar-nominated film Goodbye, Mr. Chips. Signed by actress Greer Garson who starred as Katherine Chipping. 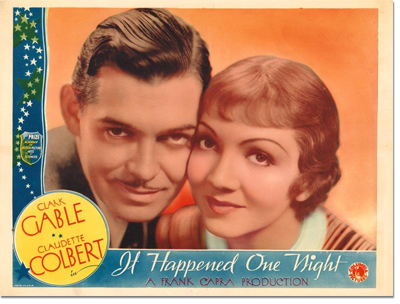 Lobby card for the 1936 re-issue of It Happened One Night, starring Clark Gable. The film won the 1934 Best Picture Oscar. 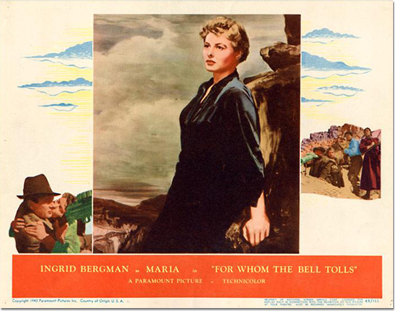 Vintage 11"x14" colour studio lobby card featuring Ingrid Bergman in her role as Maria. The film was nominated for Best Picture, but Casablanca was the movie of the year. 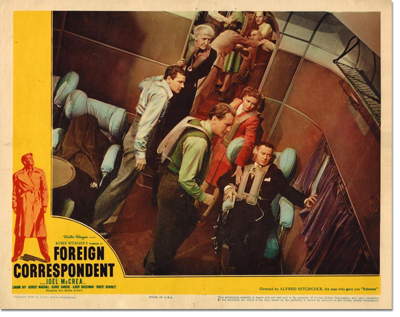 Vintage original 11"x14" lobby card for Oscar-nominated film directed by Alfred Hitchcock. 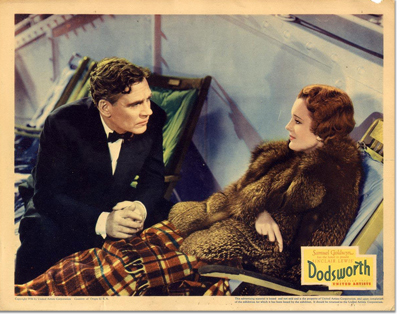 Original pictoral lobby card for the 1936 Oscar-nominated film, Dodsworth. Complete set of eight lobby cards for the 1980 Oscar-nominated film starring John Hurt. Complete set of eight colour lobby cards for the Best Picture winner, Ordinary People. Directed by Robert Redford. Eight 11"x14" black and white pictorial studio lobby cards for The Last Picture Show, nominated for Best Picture. 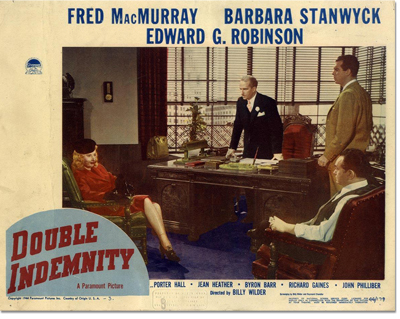 Lobby card for the Oscar-nominated film-noir co-written by author Raymond Chandler. Three original lobby cards for the 1959 Oscar-nominated film starring James Stewart. What's your favorite lobby card on this page?